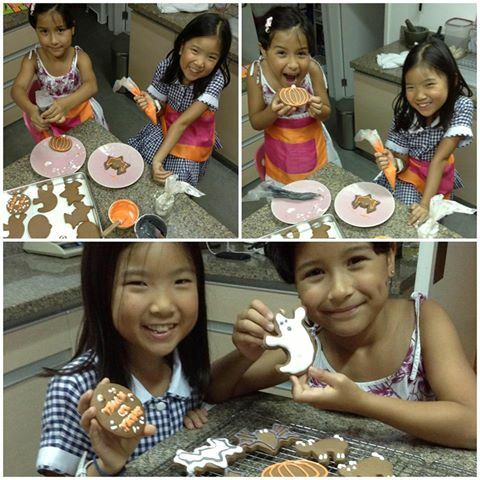 My daughter and her friend helped me decorating these cookies, it was a fun afternoon filled with laughter and the occasional cookie break (no pun intended). I’ve noticed that this year my daughter is really comfortable with piping the royal icing, she has steady hand for a 7 years old, I’m a proud Mama! 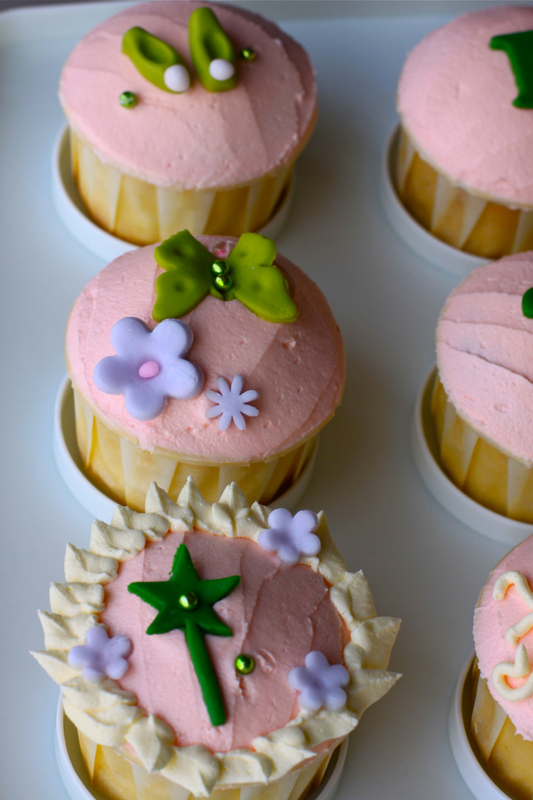 I did a quick walk down the lane on my mind and realized that last Halloween I was baking cupcakes and cookies in my kitchen in Shanghai, the year before that I baked halloween cookies in my Bangkok kitchen. 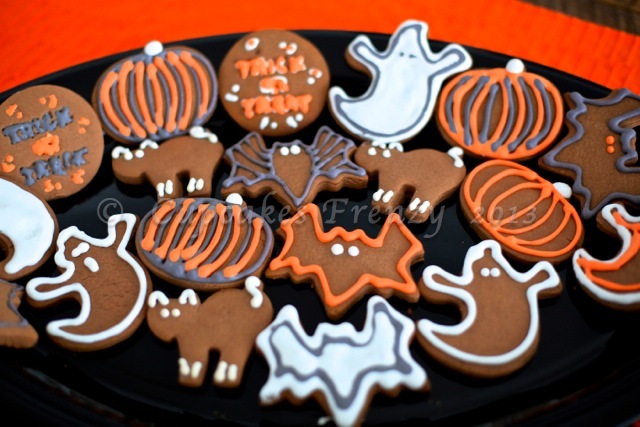 I am so looking forward to more halloween theme baked goodies here in my Manila kitchen, wish me luck. 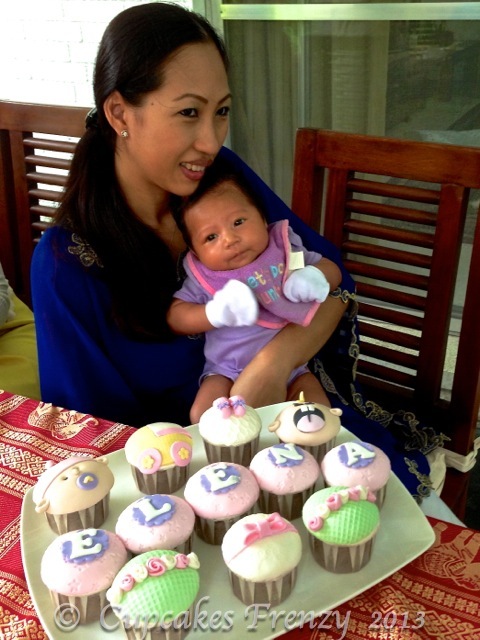 It felt just like yesterday when I baked mini roses cupcakes for Nurma’s 7 months pregnancy celebration in their home and now her bundle of joy has arrived. Today is Baby Elena’s look see party, I finally met her in person, she is adorable and look very alert despite her wee age. 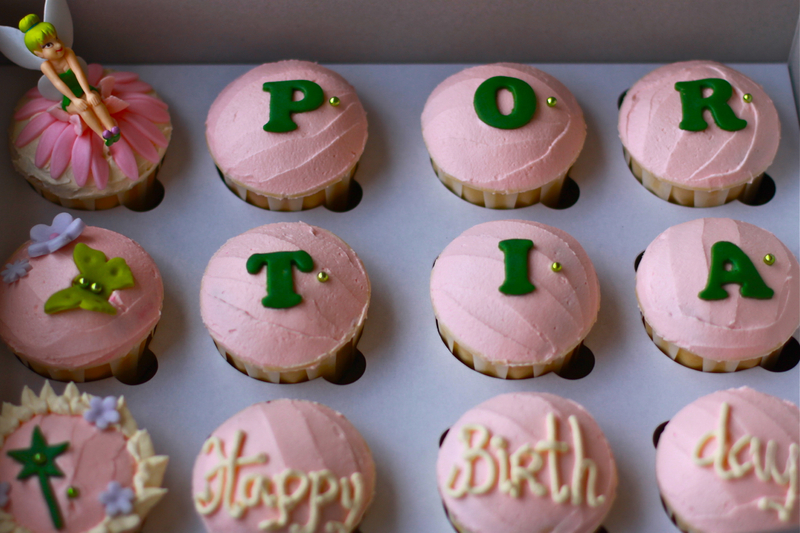 I made baby cupcakes dedicated to her and her cuteness for the party. 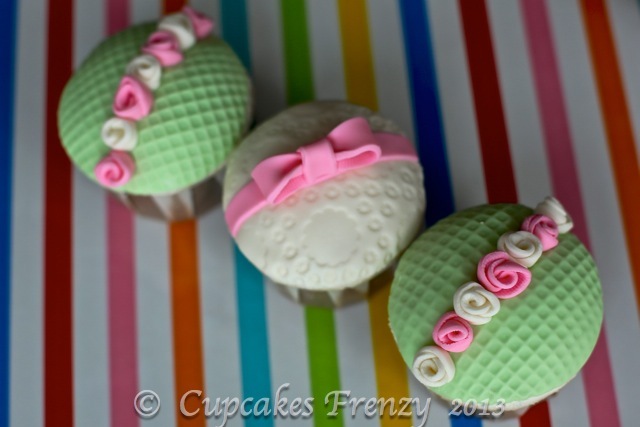 These are chocolate cupcakes with cut out sugar fondant. 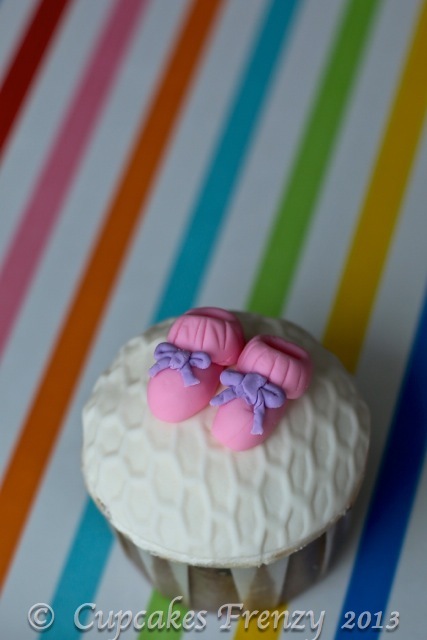 I had great time making the 3D baby shoes, its my first time ever. The cute baby faces (crying and calm with pacifier), baby stroller, ribbons and mini roses were my favourite always. 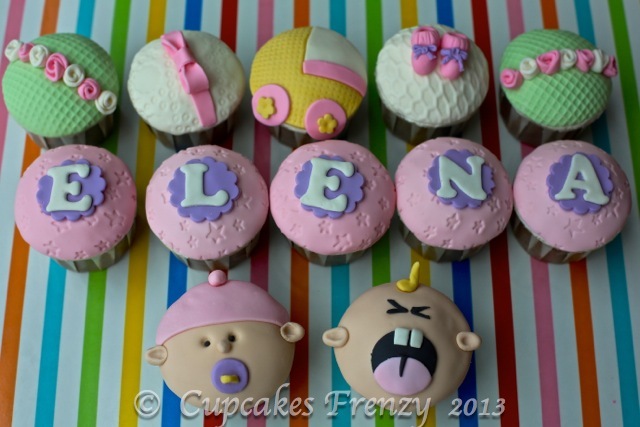 Here is Baby Elena, Mommy and the cupcakes, isn’t she adorable. I was invited to take part in Silent Auction for More Than Aware Event at The Kerry Hotel Shanghai for Breast Cancer Awareness month. They sold 1,000 tickets for ladies luncheon that day and the Ballroom was sea of pink in every shades! 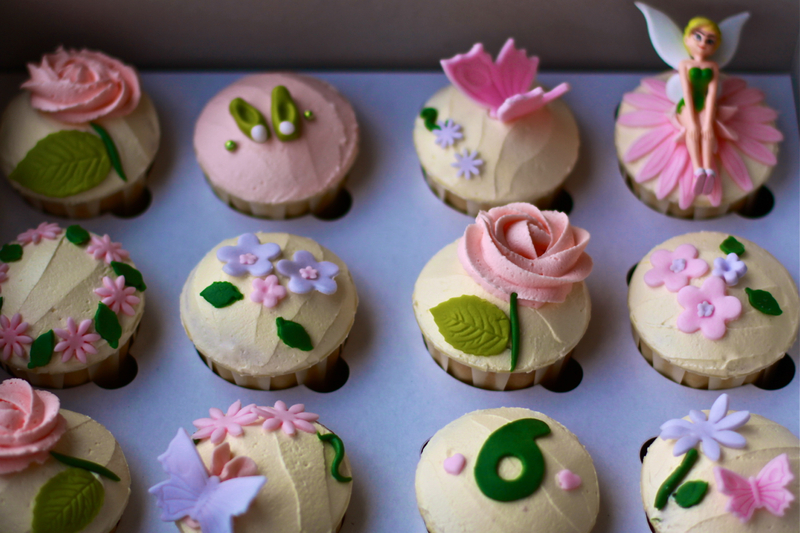 I auctioned a gift certificate for 2 dozens Custom Party Cupcakes with any theme worth RMB 600 and Ms. Olivia Yu won with final bid at RMB 700, thank you! 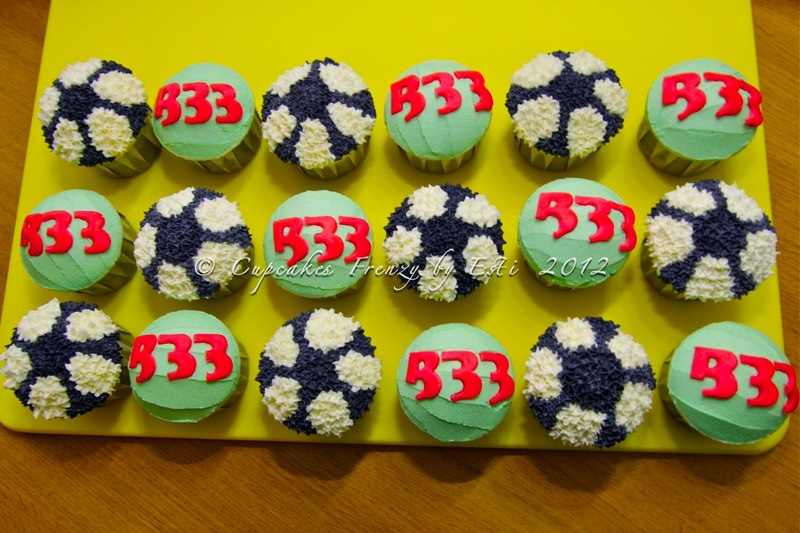 The following weekend after the event she called me and order the cupcakes for her friend birthday, what a lovely gesture, she said she wants it in rose swirl since she really liked my picture at the event. Glad I can take part of this good cause and it was a nice day to have lunch with good company. 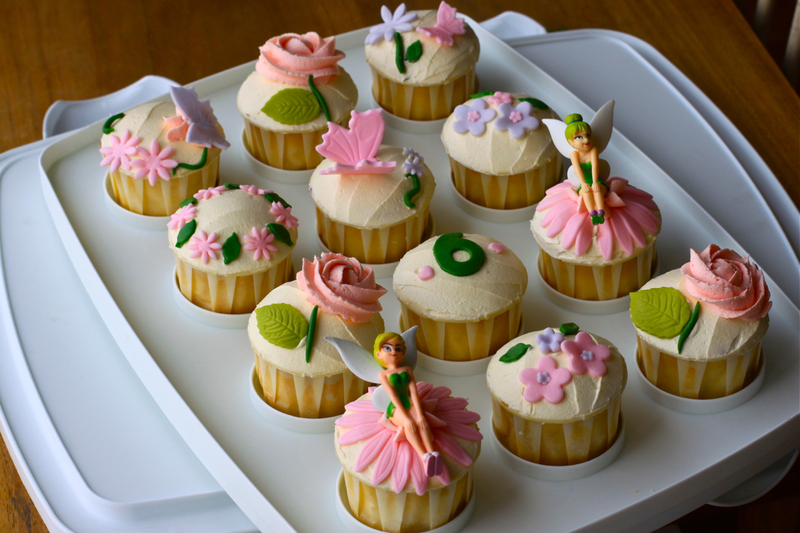 24 Vanilla cupcakes with buttercream frosting in Tinker Bell theme for Portia’s 6th birthday party. Portia and family were our neighbour in Jakarta circa 2005 – 2006, now neighbor once again in Shanghai, what a small world! Margaret’s order for Joe’s Farewell party.